We proudly offer our commercial roof replacement services to those in Newmarket and surrounding areas. Owning a commercial building often comes with a number of expenses. Some of these expenses and repairs offer immediate benefits, while others may not come with as many positive aspects. However, a commercial roof replacement is one of the best services you can provide to protect your building from the harsh climate, infestations of pests, and other problems that come from having a damaged roof. Other immediate benefits of commercial roof replacement include a return on your investment, since replacing your roof helps to increase the value of the property, and reduced energy waste. You may also notice that your building feels more comfortable, even as the seasons change, since the new moisture barrier helps to keep warm air in during the winter and cool air in during the summer. If a storm hits the Newmarket, Ontario area, an older commercial roof probably won’t be able to withstand high winds, heavy snowfall, or even large volumes of rain. You may notice leaky and drafty spots after a storm, which indicate the need to repair or replace the roof. 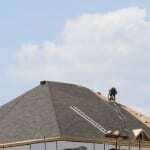 A newer roof will be made of high-quality materials that can typically withstand any type of weather conditions. A commercial roof replacement done by our professional team at Slippery Slope Roofing also comes with an impressive warranty, ensuring that your building is protected if something happens. Most commercial roofing materials are designed to last 15-20 years, so if the roof on your building is older than that, give us a call at Slippery Slope Roofing for an estimate. We proudly offer our commercial roof replacement services to those in Newmarket and surrounding areas, and we look forward to serving you. At Slippery Slope Roofing, we offer high-quality commercial roof replacement services in Newmarket, Barrie, Orillia, Bradford, Alliston, Midhurst, Cookstown, Beeton, Innisfil, Angus, Collingwood, Wasaga Beach, Oro-Medonte, Midland, New Tecumseth, Clearview, Bradford, Essa, Stayner, Springwater, and surrounding areas of Ontario.